Facebook Video is now becoming bigger than YouTube. This is because more and more brands are uploading their videos to the social network now than before. With this new trend, Facebook is already uploading a new Video tab in Page Insights. This will help publishers view the performance of their videos across several data ranges apart from other types of data that might prove to be helpful too. And just recently, Facebook has altered its News Feed algorithm to showcase videos that people are most likely to watch full screen and unmuted too in HD. Of course, this comes as a move to compete with YouTube as it shows people the most relevant videos they’d like to see. Prior to this, both video publishers and page admins could track video metrics in Page Insights but only if they exported the data after selecting a date range and file type such as Excel. Earlier, this was only possible if you picked a particular date and time range as well. Now you can view it at the Page level with any date range selected. Some of the data that page owners will be able to track are 30-second views and track views (at a Page level), performance of videos shared from other Pages and top videos given a certain date range. In an effort to understand their audience’s behavior, they can also move between breakdowns such as Unique vs. Repeat, Organic vs. Paid and Auto-Played vs. Clicked-to-Play. They can also look at the number of views in a particular date range while even looking at views day-over-day. More features will be added in the coming months too. 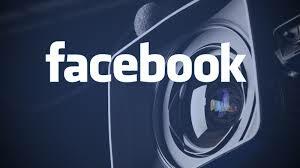 Finally, even though their user names are relatively the same (1.4 billion for Facebook and 1.3 billion for YouTube), reports reveals that Facebook will deliver at least two-third the number of views compared to YouTube in 2015.